It was written that a great Hero would rise from the East. He would be clothed in the sun and his unique user-interface would redefine the user experience for countless fans of social networking and his majesty would reign over all over Android phones forever. That Hero is here, and he’s on Sprint. I love the Hero, even in the form that the phone took in Sprint’s able hands. While the comparisons to another Sprint phone will be rampant, I’m here to tell you that this isn’t the Palm Pre and that this phone is my favorite phone, other than the phone that starts with “i” and rhymes with iPhone. The Hero, in this incarnation, is a perfect mix of form and function. First, for an earlier look at the Hero drop over here for my original review. 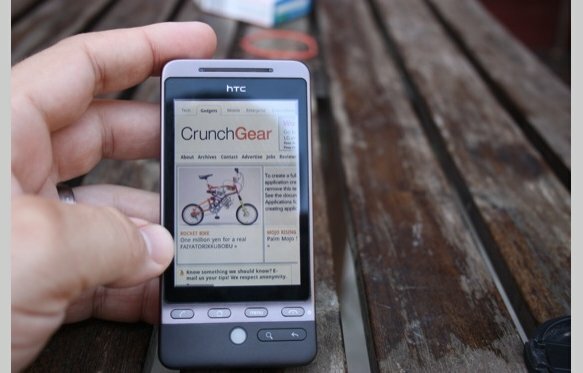 When we looked at the Hero a few months ago it was very similar in size and shape to the T-Mobile MyTouch. The first thing you’ll notice about this version is that the chin is gone, replaced by a jowl. The jowl bumps out delicately, tipped in a white trackball, and the buttons have been integrated into the phone’s metallic base. 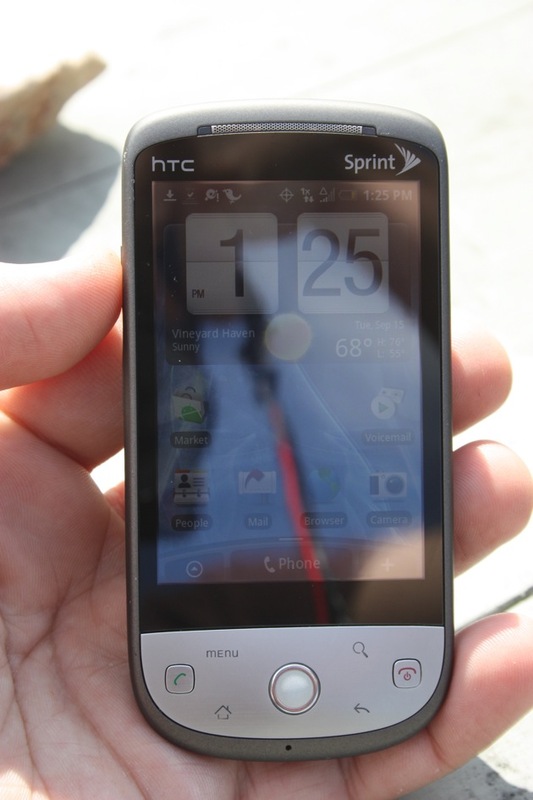 The phone has a 5-megapixel camera and runs on Sprint’s 3G network. 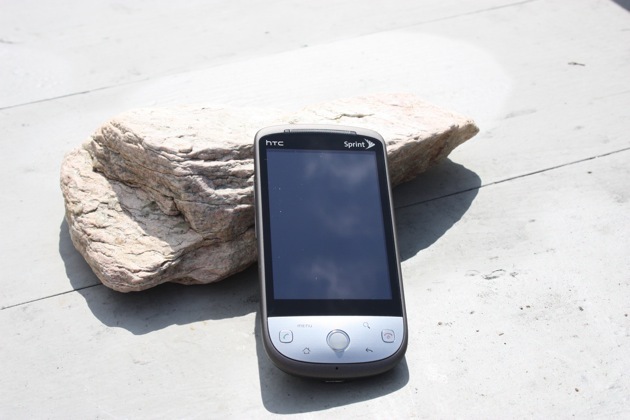 There is no SIM card slot – don’t ask if it will run on AT&T or T-Mobile – and it has a MicroSD card for expansion. Sprint is famous for stuffing all sorts of extraneous stuff onto their phone decks and this phone is no different. The kit includes an NFL widget, exclusive to Sprint, along with Sprint’s Navigator and NASCAR apps. Luckily, or unluckily, depending on your position on extraneous junk programs, Sprint TV is missing from the front page along with Sprint’s media store. Instead you have the Amazon MP3 store. The phone runs on Sprint’s high-speed network; browsing was pleasant and email a breeze. A certain subset of users will also notice that the traditional rooting and tethering systems are disabled on this phone. As for the old Hero lag, I’m proud to report that this phone is now a monster. The screens, even with a few hearty widgets like Twitter and email, are snappy and all of the apps respond with an intensity thus far reserved in bellboys at major luxury hotels. Even the touchscreen is responsive and bright. The keyboard, however, takes a little getting used to if you’ve been using the iPhone or another Android model. In short, however, this is a nice phone. The camera and camcorder are fairly standard but the autofocus is quite nice. I did have a problem with the model I received. The focus was fairly poor and it seemed that there was some sort of film over the lens. This was, however, an early model and could have suffered a factory defect. Battery life has been a mixed bag but with email and messaging running I’ve seen about a day per charge. The rest is just gravy. The Hero’s social networking integration is its most important feature and the speed with which the Hero links Facebook and Twitter profiles is impressive. Unlike the Pre, which chokes on anything more than a few hundred contacts, my entire 300+ contact library was sucked in from Google and easily connected with the attendant Facebook contacts. The Hero is the future of feature cellphones. It is well-built, runs a free and customized operating system, and it does everything the average user could need. It’s not the perfect smartphone – like the iPhone it doesn’t quite play well with corporate Interwebs in its current incarnation – but that will change. Android, too, is the future of feature phones, something Microsoft and Nokia will ignore at their peril. Your Mom’s next phone, even if she doesn’t know what she’s getting, will probably be an Android phone. The OS is that versatile. The Hero is Android perfected and it is an excellent phone. 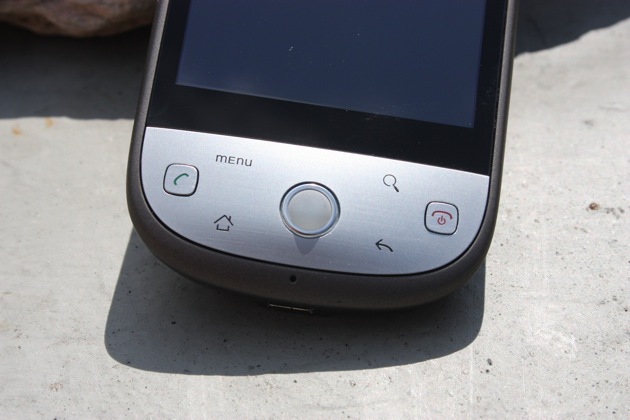 I would recommend it over the Palm Pre and, dare I say it, something like the iPhone 3G. $180 isn’t too much to pay for the best Android phone on the market.